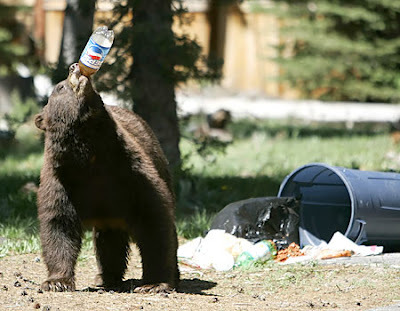 The choice is simple, this Grizzly Bear downs a Pepsi out of a bin in the aftermarth of an American Memorial Day weekend. Great advert for Pepsi. Thanks to www.news.com.au for this picture.